We’re super excited for The Hobbit: An Unexpected Journey, which is just weeks away! Therefore, we’re super, SUPER excited to host this giveaway for our readers. But first, let’s learn about this Lord of the Rings prequel. Directed by Peter Jackson, the adventure follows the journey of title character Bilbo Baggins, who is swept into an epic quest to reclaim the lost Dwarf Kingdom of Erebor from the fearsome dragon Smaug. Approached out of the blue by the wizard Gandalf the Grey, Bilbo finds himself joining a company of thirteen dwarves led by the legendary warrior, Thorin Oakenshield. Their journey will take them into the Wild; through treacherous lands swarming with Goblins and Orcs, deadly Wargs and Sorcerers. Although their goal lies to the East and the wastelands of the Lonely Mountain, first they must escape the goblin tunnels, where Bilbo meets the creature that will change his life forever…Gollum. Here, alone with Gollum, on the shores of an underground lake, the unassuming Bilbo Baggins not only discovers depths of ingenuity and courage that surprise even him, he also gains possession of Gollum’s “precious” ring that holds unexpected and useful qualities… A simple, gold ring that is tied to the fate of all Middle-earth in ways Bilbo cannot begin to know. 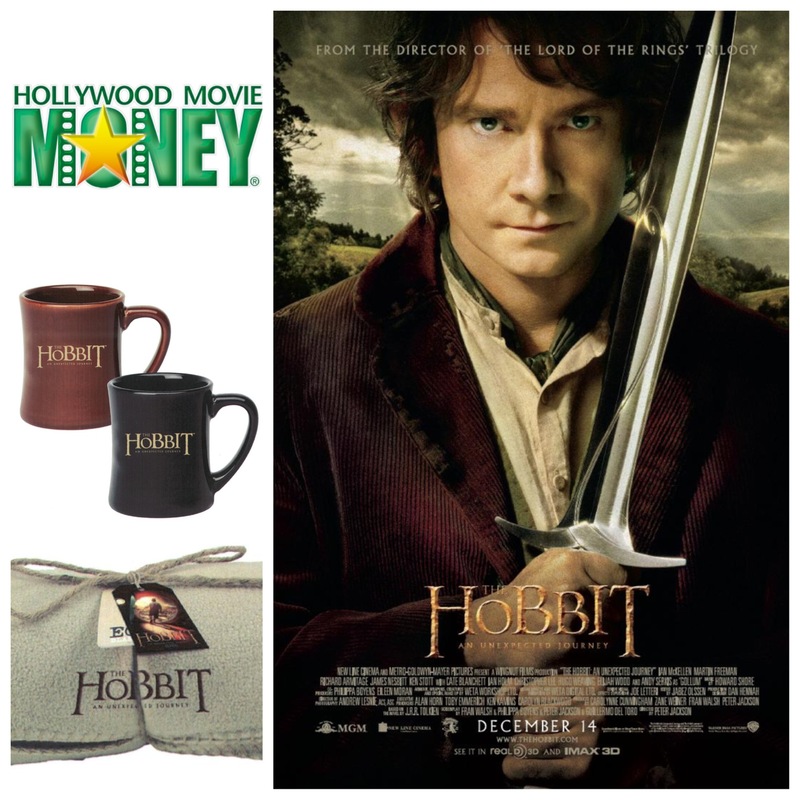 THE HOBBIT: AN UNEXPECTED JOURNEY In 3D and 2D in select theaters and IMAX on December 14th! More on the giveaway after the jump! To enter to win one of these awesome prize packs, fill out the Rafflecopter widget below. The more tasks you complete, the more entries you receive. The contest ends on December 14th at 12:01am EST. A winner will be contacted via email on December 14th. Good luck! Previous ArticleKeegan's Chronicles Giveaway: Win a $100 Gift Card!